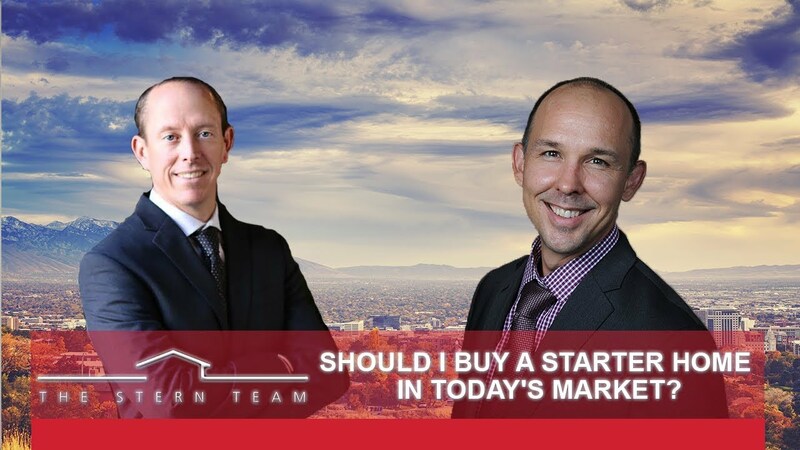 Should I Buy a Starter Home in Today’s Market? Are you better off buying a starter home now or waiting and buying your forever home later? The answer depends on your circumstances. Don’t miss out on today’s great rates for your future home purchase. Here’s how. By co-borrowing, you’ll have a much better chance at affording a property. Here’s how. Rising prices and rising interest rates should soften demand for the rest of 2019 and result in fewer home sales. However, it’s still an opportune time to buy or sell. In today’s market, are there still tax benefits associated with homeownership? Today I’ll discuss which benefits are still available to homeowners. 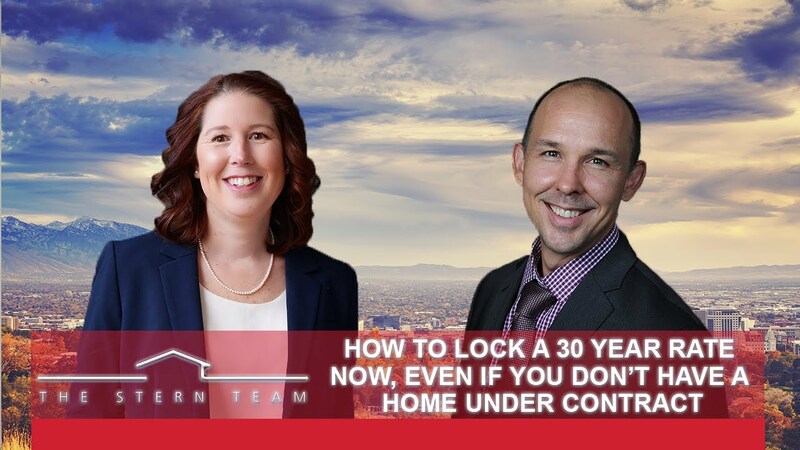 The Stern Team is a full service real estate team that has helped sell and purchase thousands of homes since 2002 - currently about a property a day! Commitment to servicing their clients and the “client experience” has lead to over 83% of their business coming by referral. The Stern Team motto is “clients don’t care how much we know, until they know how much we care”. Their philosophy is that when you take care of others needs, your needs are automatically taken care of. The Stern Team is one of the top real estate groups in North America and the #1 resale team in Utah. 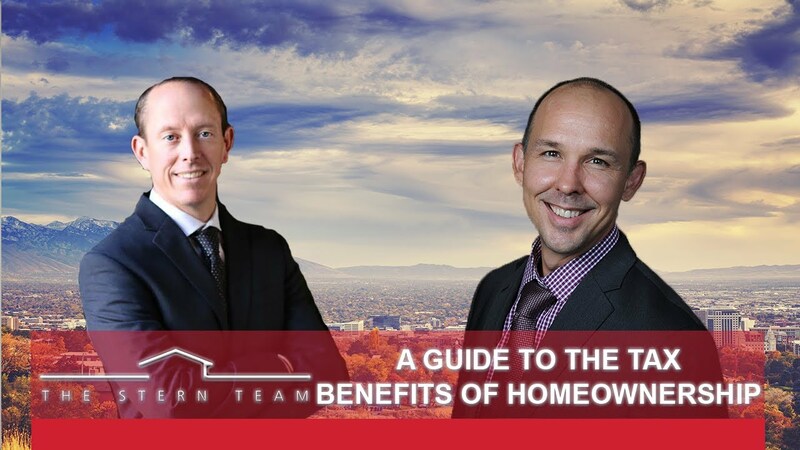 If you’re looking to buy, sell or invest in a home to live in Salt Lake, Joshua Stern and his team are here to ensure you have an excellent real estate experience. What Are the Biggest Issues Facing Buyers Today? How Should You Deal With a Low Appraisal? How Affordable Are Homes in the Wasatch Front Market? Need to Dispute Your Property Tax Assessment? Why Does Gary LeVox of Rascal Flatts Trust The Stern Team? 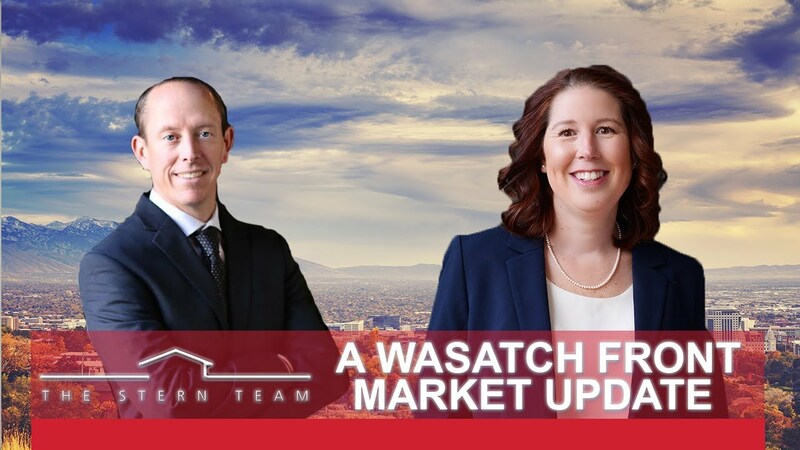 How Did Our Wasatch Front Market Do in the 1st Quarter? What Sets Realtors Apart From Normal Agents? Do You Want to Buy a Fixer-Upper? How Do We Know Our Market Is Strong? When Should Sellers Respond to Offers? Why Was Your Offer Rejected? Who Pays Closing Costs in Salt Lake City? What Should You Know About TRID? How Will Rising Interest Rates Affect Wasatch Front Home Values? How Can You Use Crowdfunding to Invest in Real Estate? Do You Have Access to Every Available Home on KSL.com? What's Happening with Salt Lake County Real Estate? Need Help Disputing Your Salt Lake Property Taxes? Are You Prepared for Moving Day? How Can You Get Your Dream Home on the Wasatch Front? How Can You Receive Multiple Offers on Your Home? Do You Qualify for the National Home Buyer Grant? Why Is Homeownership so Affordable in 2015? What is the Starbucks Effect? 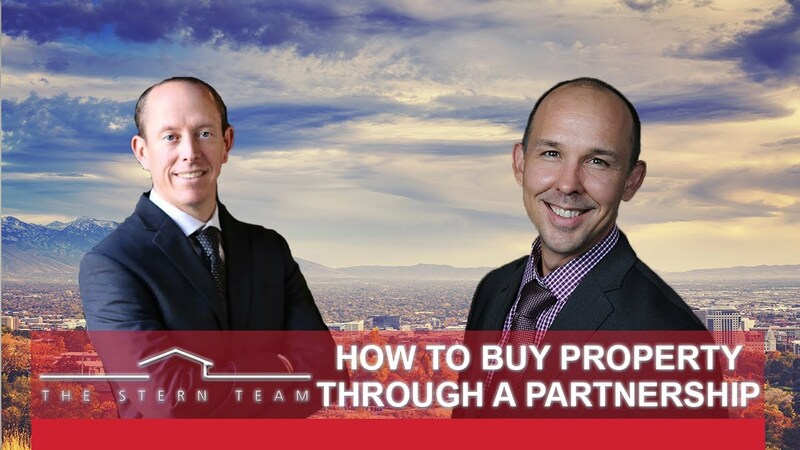 What Can You Do to Help the Sale of your Wasatch Front Home? What's the First Step an Empty Nester Should Take? Don't Miss Your Chance to Help the Stern Team Warm the Community! What Can You Expect in the Coming Months on the Wasatch Front? In Salt Lake County, Now is the Time to Upgrade to a Larger Home You've Always Wanted! How Does the Wasatch Front Market Look Right Now? How Has the Market Been Doing This Year? You’re Invited to Our Death By Chocolate Party! What Do Interest Rates Mean to You as a Buyer in Salt Lake County? Will the Wasatch Front Continue to See Growth in 2015? Why are We so Excited about Real Estate in 2015? Will I Pay Less Commission If I Find My Own Buyer? What 10 Maintenance Tips Should Every Utah Homeowner Know? How Should You Prepare Before You List? Which Updates Won’t Add Value to Your Home? How Can You Avoid Wasting Money on Valueless Home Improvements? Salt Lake County Home Prices Increased- Are You Still Underwater? What Does Reduced Home Affordability Mean for You? How Will the FHA Guideline Changes Affect You? What Makes Us Johnson and Johnson’s Preferred Real Estate Team? "Josh takes care of everything! He is so hardworking and honest. Josh is probably the best Realtor we’ve ever worked with so I’d highly recommend him!" "He followed through with absolutely everything he said he would do and he helped us with all the legal stuff and paperwork to make sure we were protected." "The Joshua Stern Team was incredible to work with. They were on the ball and always had the information we needed. Any of our concerns were resolved right away which was much appreciated. They have a really great understanding of the market and they know what needs to happen to get things done. I would absolutely recommend them!" "My experience with Joshua was amazing. He was so professional and timely that it made selling my mother’s house so much easier. My mother had passed away and Joshua showed up and had a market analysis done for us. He really bent over backwards to make it happen and he did an amazing job!" "When we planned to move to Portland to be closer to family, we knew we were going to talk to Joshua right from the start because we’d heard about him on the news. He came out and did a market survey and told us that he could sell our home. Lo and behold, the very first person that walked through the door bought it. It was so quick and Joshua helped us through every step of the way. It was a pleasant situation and he did everything he said he was going to!" "We had phenomenal results! The pictures went up on a Tuesday night, we had an open house on Saturday and then we got 4 offers! He absolutely lived up to his reputation. It as a quick transaction, he was professional, and he always followed up. Every step of the process, he’d send me a video saying here’s where we’re at in the process and here’s what’s going to happen. For me, that was above and beyond, I’ve never heard of an agent doing that and taking that kind of time." "He was very quick, efficient, and professional to our desire. On a Sunday while he was out of town on vacation, he sent us over an offer that we had received which we thought was pretty cool. We requested that we not having any showings or anything on Saturdays and he was able to make sure that happened. He just did a really nice job for us. " "I thought they were very good and professional. He really did a good job and kept us posted on what was going. Initially when he came over for the first visit, he spent several hours with us and went over all the details. We felt like things were going to go well after he left and they did!" "I had an offer and when they did the inspection the buyer wanted me to throw in an extra $1,6000. There was no way I was doing that so Josh took that back to them and handled it very well. They accepted it because of his great negotiation skills. They were fantastic, absolutely fantastic." "They were great. Before we switched to them, the house was on the market for six and a half months. There were some offers, but they all fell through. Josh just had techniques and outlets that our previous Realtor did not have. We sold the house in seven weeks with Josh. They got back to me, and his whole team just did such a good job. I would recommend him to anybody." "We had very good results. There was a closure failure that happened over the weekend, and Lee was out of town so Josh helped us navigate through the whole thing. The closure failure happened on a Friday, and by Saturday, they had gotten us another offer!" "My son had died unexpectedly, leaving a property in Salt Lake City. I’m in Virginia, but we found Josh after going through my son’s paperwork. Josh had sold him the home in Salt Lake back in 2006. We went to Salt Lake City, and Josh gave us a very straightforward presentation. Josh first gave us different ways for us to sell the house to my friend’s kids, and when that didn’t work out, he put the house on the market. I went back to Virginia, and Josh worked with some of my friends in Salt Lake City to sell the house. He kept me updated throughout, and the whole process was so easy, even though it was long distance!" "We got great results! The house sold, and it was fast. He was very professional. Our initial meeting with him was fantastic. He prepared an analysis of different homes that have been sold in our area. I’ve never seen that from another Realtor before, and I thought that was really above and beyond!" "They have friendly customer service, and an extremely quick response time. He was very professional. The first time we worked with him, we just randomly called Keller Williams because we needed an agent. We needed to fly in 24 hours later, buy a house in 24 hours, and fly back. He was very accommodating. He really got us acclimated to Salt Lake City, so he was more than just somebody who showed us through houses!" "I’ve been very pleased. Initially, we went with another real estate firm. We had twelve showings in seven months with them. My wife did some research, and Josh came in. He’s on the ball. He’s sharp. He has a plan, and the passion and energy to execute that plan. He sold the house in three weeks. Any time I brought up some kind of issue, it always impressed me that he had a plan. He just goes right into problem-solving mode." "Everything was outstanding! The marketing of the home was exceptional. We’ve owned several homes, and it was by far the best marketing plan for selling a home that we’ve ever seen. We were just thrilled with the results!" "Josh was very honest and thorough. He had a lot of experience and he was very well-informed. We listed our house, and it sold within a few days! We had a different agent before, and the biggest problem with them was we never knew where we stood. Josh had great communication skills, and I really appreciated that!" "They were good. Jacquie followed through on everything!" "Immediately, I got a large number of listings that were specifically targeted to me. I had a wide-ranging list of criteria; I was looking in the city and semi-rural areas. My agent, Jacquie Reagh, was very accommodating and gave me a huge variety to look at within my first price point. She was there, looking at the houses with me, offering her opinions and I felt very well supported during that process. When I found a place, I upped my ante and we got the offer going. She worked through a lot of intricacies and negotiating, down to adding bar stools, the surround sound system and the built-in home theater. It was a little bit of a tough negotiation, but everything went really well. At closing, my out-of-pocket costs were about the same because the home was appraised for less. So, that was a good deal for me, but I paid more in closing costs, and she offered to pay the difference herself." "We sold the house so that's always good, I was impressed with their teamwork, they each had their individual jobs to do. Their follow up with exceptionally good. Appreciate what they did. We ended up selling the house. It's always a good day when you sell your house. No complaints what so ever!" "He is very easy to meet with. He responded quickly to any questions I had. It was good working with him. I got good results, I feel. One of the things that happened to us was with our home. People put in an offer that ended up being higher than what the value of the home was. And we were almost having to back out of the deal because we needed that down payment for our next house. But they ended up taking a cut in their commission so we could go ahead. We were very thankful and it is not something you see everybody do. " "Excellent. Jacquie was very responsive and very fast. We had to do several changes because of financial changes. We had to do a lot of contract mods. I imagine she doesn't have to do those very often. We had to do a lot of addendums to the contract and she was super fast on all of that. She really kept me in the loop and made sure I knew what I needed to do, so I think she did really good. I think if she hadn't have been so responsive and helpful, our sale would have fallen through. I think she saved it for us"
"I actually knew Brett previously. He was very accommodating. I called him very last minute, that's initially how my start of looking to buy a home started. He pretty much dropped everything and was able to come and help me!" "The Stern Team actually came recommended by a friend of ours. Michael just happened to be a bonus. We didn't know a specific agent or anything, just that The Stern Team has a good reputation. So, I asked Mike, in particular, why should I choose The Stern Team versus another realty firm. Confidently, but not over-confidently, he told the story of The Stern Team and each process, each person responsible and accountable for each step of the selling process. He made a believer out of me enough that I put four houses up for sale in his hands. He kept his word, everything he said would happen, happened. We were actually out of our house three weeks sooner than we had planned because of the selling approach."